At the center of this story is the wrongful conviction of Walter McMillian and the author’s attempts to free him. Interspersed between that story are other stories of wrongful convictions and sad accounts of a broken justice system. Along the way the author touches on a number of issues dealing with the justice system: mass incarceration, mandatory sentencing, racial bias, prison over crowding, cruel and unusual sentences for minors, the psychological impact of long term solitary confinement, the death penalty, and a host of other crime and punishment issues. I am opposed to the death penalty. My feeling is that locking someone away for the rest of their lives is punishment enough. After reading this book, I am even more against the death penalty because of the unfair way that punishment is meted out. If you are poor, black or a minority, your chances are much greater of receiving the death penalty than a white person who can afford to put up a fight. The author talks about numerous cases wher defendants were convicted and sentenced to death simply because they couldn’t afford to hire experts to dispute the prosecutor’s theory. In one case of a wrongful conviction, the defense had only $500 to dispute the prosecutor’s expert that a gun found in the defendant’s mother’s home was the murder weapon. That $500 got him a mechanical engineer who was blind in one eye and who had almost no experience testifying as a gun expert. All too often prosecutors oppose efforts to reopen cases where a potential wrongful conviction appears evident. They will ignore overwhelming evidence pointing to an error simply to save their record. The appeals courts seem to be a complete waste of time. Seldom is a wrongful conviction overturned on appeal, especially at the state level. Often those trying to free the innocent are forced to conduct their own investigation, including paying for DNA testing. 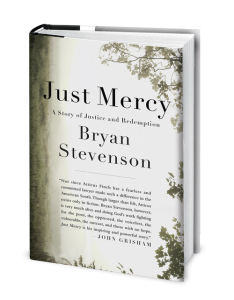 There were so many stories of dispassionate judges, jurors, prosecutors, detectives, and prison officials that it’s easy to see why Just Mercy is such a great title. One story that highlighted the inhumane treatment of solitary confinement was the story of Ian Manuel. Ian, thirteen, along with two older boys attempted to rob a couple in Florida. When the woman resisted, Ian shot her with a handgun given to him by one of the older boys. The woman was wounded in the cheek but survived. Ian’s appointed lawyer convinced Ian to plead guilty in hope of a lighter sentence. Instead, the judge sentenced this thirteen year old to life in prison without the possibility of parole. This was not a mandatory sentence. The heartless judge could have sentenced Ian as a juvenile where he would have been eligible for parole at age eighteen. When the author catches up to Ian he has been in solitary confinement for over fourteen years, locked away in a concrete box and prevented from all human contact. Can you imagine that happening to anyone let alone a thirteen year old boy? There’s no question that Ian deserved punishment, but the punishment should match the crime. At one point the author arranges for a photographer to take a few photographs of Ian to help put a face on his case. This is what Ian wrote to the author after the photo shoot, “I don’t know how to make you feel the emotion and importance of those photos, but to be real, I want to show the world that I’m alive! I want to look at those photos and feel alive! It would really help with my pain. I felt joyful today during the photo shoot. I wanted it to never end.” The author ultimately petitioned the Supreme Court to fight for Ian and thousands of other Ian’s locked away in tiny cells for the rest of their lives. The court ruled that it was indeed cruel and unusual punishment to sentence a juvenile to death or life in prison without parole. Not everyone agreed with the Supreme Court’s ruling. 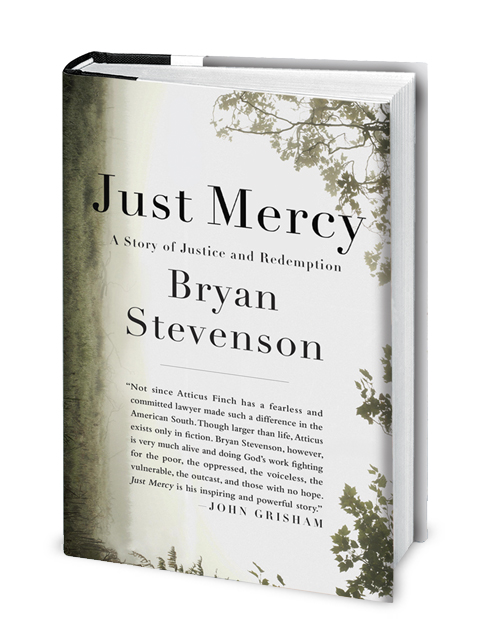 The author tells the story of one judge who, after learning of the ruling, changed his life sentence without parole to a sentence of 175 years. The author successfully gets Walter freed, but next comes the battle for compensation. Walter was sentenced in a state that did not offer compensation for wrongfully convicted men. Some states put a cap on awards as low as $25,000 regardless of how long that person was in prison. That is outrageous. Even the press has become desensitized to stories of wrongful convictions, claiming “innocence fatigue.” Really? As the author states, our criminal justice system is set up to treat people better if they are rich and guilty than if they are poor and innocent. This book is must reading for anyone currently in or planning on becoming a part of the criminal justice system.